We started Paradigm Behavioral Health Solutions in order to help improve the viability and success of behavioral healthcare facilities across the country. Our primary goal is to help our clients maximize payer reimbursements while optimizing clinical care. In the process, we have helped numerous practitioners improve their businesses from the C-suite on down. If your goal is to provide industry-leading behavioral healthcare, our goal is to provide you with the tools to do it right. This means helping you meet payer standards by improving communication and documentation internally. For more information about how we do this, please view our services section. If you’re ready to work with us, please contact us. Dr. Rodriguez received a bachelor’s degree in psychology from the University of Puerto Rico, and master’s and doctoral degrees in clinical psychology from the Carlos Albizu University. Consistently working with a diverse population of individuals and families, her wide range of experience includes helping clients struggling with substance abuse, family dysfunction, co-occurring disorders, and trauma. Additionally, Dr. Rodríguez has taught undergraduate courses as adjunct faculty and conducted psychological evaluations in private practice. She is fluent in Spanish and English. Tiffany holds a Bachelor of Science Degree in Criminology and Masters of Social Work Degree from Florida State University in Tallahassee, FL. Tiffany is a Certified Daring Way facilitator and Licensed Clinical Social Worker (LCSW) here in the state of Florida. 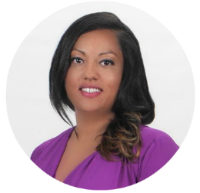 Tiffany has been working in the mental health and social services field for over 12 years as a Clinical Supervisor, Program Administrator and Behavioral Healthcare Executive. 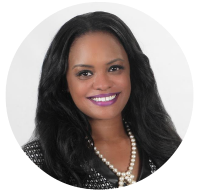 Her multiple roles have led her to be well versed in treating clients of diverse populations and backgrounds including the veteran population, adolescents, chemical dependency clients and those suffering from co-occurring disorders. She is especially recognized for her experience in clinical program development, leadership development, and organizational restructuring.